The Mystery Artist Show is a weekly program on the radio at TheSkyKid.com. Each week Jeffrey, the program’s host, introduces a young artist from somewhere around the world. 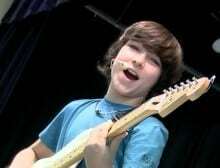 In June of 2012, TheSkyKid.com radio aired an exclusive interview (conducted by Jeffrey) with Dalton Cyr – a young singing sensation from Florida , USA. Note: This publication is a transcription of the original interview aired on TheSkyKid.com radio. 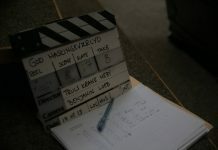 The clip included below features the whole interview and snippets of the songs that were played during the live broadcast. In this transcript, “TMAS” will represent the questions posed by the Mystery Artist’s Show and “DC” will be Dalton’s answers. Jeffrey has also provided some post interview commentary that was not part of the interview as aired, but rather represent his impressions of the interview after the fact. Those comments will be shown as “Jeffrey“. 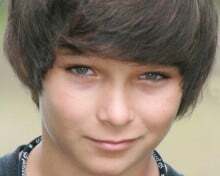 Jeffrey: Today’s mystery artist is none other than 11-year-old Dalton Cyr from Jacksonville, Florida. I was very lucky to have been able to do the interview with him, I was very surprised to find out that when Dalton first started he had stage fright, which he had to overcome if he wanted to be a performer. Dalton is an accomplished actor, singer and songwriter. TMAS: Do you have any brothers or sisters or are you an only child? 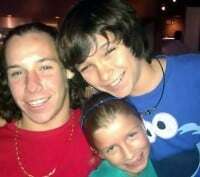 DC: I have an older brother Austin who is 16, and a younger sister Kyndle who’s seven. TMAS: How hard was it for you to get over your stage fright? DC: Stage fright was very hard for me to get over. My first audition drove me crazy because I thought people were going to laugh at me when I sang. TMAS: Do you ever stop and think about what things would be like if you were not able to get over this problem? DC: No. I haven’t thought about what it would be like if I didn’t actually pursue my auditions. But now that I am thinking about it, my life would be completely different. TMAS: What inspired you to start writing songs? DC: The first song I wrote was for a school competition. Surprisingly it won at the school, then won at the district and then won at the state. So that kinda spun off and inspired me to write a bunch more songs. Jeffrey: Having written five songs and being the youngest person to enter the International Songwriter’s Competition (ISC) in 2011, Dalton’s song I’ll Be There was chosen as a semi-finalist out of 16,000 entries from around the globe. Having met a number of young artists that write some of their own songs, I was really impressed at the degree of quality in which Dalton’s songs are written considering his age. TMAS: You must’ve been pretty nervous being the youngest song writer at the ISC last year, especially with all of those wonderful artists, songwriters and music industry people. Were you afraid your stage fright would return? DC: The ISC (International Song Competition) is a great competition. I didn’t know I was the youngest. I do know that it’s an amazing competition. I wasn’t really scared to enter my song and I was just excited to do it. I even entered Whisper next year as my song. TMAS: Were you by chance approached by any of the music industry people about a possible contract? DC: I’m currently under contract with a management company in L.A. called DW Management and we are looking for a record label right now. TMAS: What kind of advice would you give other young artists, such as yourself, just starting out? DC: I know I’m only 11, but this is what I found out so far. Whatever you’re doing, whether it’s anything from baseball to dance, then you have to put a lot of work and effort into it. Sometimes it will get really difficult, but then you know you’ll be growing. So that’s when you need to put all of your effort into it and you’ll go very far. TMAS: Do you feel that performing arts school is about the same or harder than regular school? DC: I actually think performing arts school is easier than a regular school, because even though you have all the same classes, you get to balance it out with a good arts class. In my case, I get to sing for an hour and a half every day. TMAS: How do you manage to juggle two careers (singing and acting) at such a young age? I mean most adults have a hard time juggling one career and a home life. DC: I don’t think I’m juggling two careers. I think singing and acting go hand-in-hand, so I would say I have one big career in entertainment. TMAS: How do you manage to squeeze in time to spend with your friends? It must be hard being a regular kid with everything else you have going on. DC: That’s a big question. What I found so far is that, there’s a lot of time in every day. The key is just don’t waste any of it. TMAS: Is it difficult for your family to work around your schedule? DC: I’m really fortunate that my family supports me. So we turn all the work that we do into fun. TMAS: I understand that you’re busy recording for a new album. Has there been a release date set? DC: Yes. I’m currently in the studio finishing up my 11 song album. I know it will be released sometime in summer, but so far we haven’t had a release date set. TMAS: Will it be available online or as a physical CD or both? DC: It will be available online and as a physical CD. Jeffrey: When asking Dalton about that dreaded time when his voice would be changing, I couldn’t help but laugh when he was being sarcastic by answering the questions with a very high pitched voice — which indicates that, being just 11 years old, he’s not really concerned with that issue at this time. TMAS: Have you already started to prepare for when your voice changes? DC: Yes. I am prepared for when my voice changes. TMAS: Are you planning on singing during that time period or are you going to take some time off from singing? DC: I am planning on singing during that time period and I’m not going to take any time off from my singing. TMAS: Is there anything else you’d like to add before we go? DC: Yes. I’d like to thank Skykid Radio for letting me come on today. You guys are awesome. Jeffrey: I would like to thank Dalton for taking the time out of his busy schedule of recording his album to do the interview with me. I’d also like to thank his step-mother, Cindy, for taking the time to correspond back and forth with me to help make this interview possible. We encourage you to visit Dalton`s YouTube Chanel and the introductory article about him titled Dalton Cyr Musical Prodigy (Cyriously Talented) at RivenMaster.com . 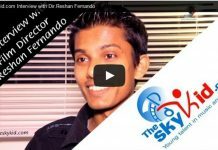 More interviews conducted by Jeffrey are available on TheSkyKid.com and the show page at TheSkyKid.com radio website.